Each country which has an established Angelic Reiki Family is developing an organisation to suit the needs and requirements of that country. 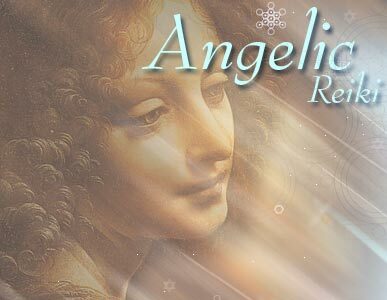 To create an accessible and acceptable public face in order to create a broader acceptance of Angelic Reiki in both the public and private arenas. 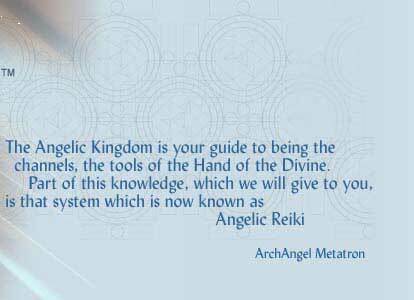 To raise the public profile of Angelic Reiki. 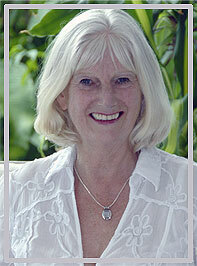 To support practitioners and teachers of Angelic Reiki. To create opportunity for further training and Ongoing Professional Development. To maintain the integrity and purity of this system of healing and empowerment. To these ends the practical organisation will vary to some extend in each country according to the cultural and legal requirements of that country. To continually be seeking to further one's knowledge and expertise. Angelic Reiki is a hands on or hands-off healing modality on the fully clothed body. Practitioners always ask permission to touch and need to follow appropriate professional conduct. To have prepared themselves through their own personal practice and meditation is to greet their client in a open, friendly and loving manner. To be professionally prepared and punctual. To ensure that the treatment room is well prepared at the start of each session, quiet and facilitating confidentiality. To provide a one hour sessions. To leave all personal issues, prejudices and concerns outside the space To treat all clients honestly and fairly. Without prejudice or favouritism. All topics of conversation be non-controversial, e.g. never discuss other clients, your love life, your financial status, your health problems, your personal problems, religion or other therapists in a derogatory way. All information given by the client to be totally confidential and this is to be made clear to the client. To always be aware of personal hygiene and keep a smart appearance creating high personal and professional standards. To be a focused and loving listener and to stay open to the guidance of the Angelic Kingdom. To be mindful of blurring the boundaries between client and friend. Professional clients cannot be friend. If they do be sure to set the correct boundaries. The therapist/client relationship is one of trust. Therefore treat all information as strictly confidential. A client’s situation can only be discussed if professional support or advice is needed and only with the client's permission..
To recognise the divinely perfect aspect of each client. Seeing the client not as ill or in need in some way, but recognising the aspect of them that is already spiritually perfect and beautiful. To only perform treatments you are qualified to do and give advice that you are qualified to give. To never claim to “cure” anyone, or take a client off meditation or diagnose disease. Our role is to empower them to make their own decisions about meditation and to gently lead them into a place where they recognise the cause of what is causing them concern. To tune in and let your heart and Angels choose the words for maximum positive effect. By putting your personality and opinions and behind you, you can be the most perfect channel for the words they need to hear. To embrace all the above criteria for students. Clearing, dedicating and closing the space. Always to clear and dedicate a workshops pace. To leave all personal issues, prejudices and concerns outside the space and to prepare one appropriately beforehand through one's own preferred personal meditation or practice. To embrace the role as the one who is holding the space and responsible for it. To have at least four people. To conduct the workshop over the full amount of time. The 1 & 2 workshop is 18 hours. This is divided over three days in any proportion that is convenient. Usually the easiest way is to do 2/3 hours on Friday evening and the rest of the time on Saturday and Sunday. In this format the Friday evening is extremely valuable. Spirit and the Angels use the opportunity to do preliminary cleansing and unite the group energies. If one finishes the first evening with the first attunements it allows participants to integrate this cleansing and initiation during sleep. To start the next day with the first healing grounds of the energy. The 3 & 4 workshop needs 22/23 hours, taking place on three consecutive Days. The 1 & 2 and 3 & 4 Angelic Reiki Workshops are not divided up. We do not teach one-on-one. Distance attunements are not available in Angelic Reiki. To do the cleansings and Attunements as written in the book; to read these from the workbook. To open the first day with the meditation published in the workbook. Above all be in joy and love.